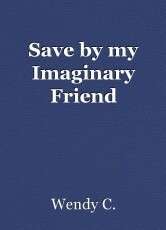 Save by my Imaginary Friend: Chapter 18, book by Wendy C.
Emily found out who is her mom. Emily was scared, but she tries not to think about Kevin. Emily already knew how to use her abilities. Candy and Kate already knew how to use their abilities too. The police still have not found Kevin or Paul. Emily have so many bodyguards and police watching the house it would be dumb for Kevin to try to kidnap Emily again. Emily was getting ready for school when she heard Jason talking to her aunt. “You have not found Kevin yet?” Lisa asks Jason. I am sorry, but we are doing the best we can to find him,” Jason replied. “Well, maybe your best is not good enough,” Lisa replied. “I know you are upset and you have every right to be. We will catch Kevin and this time we will make sure he does not escape again,” Jason replied. “In the meantime, how, many innocent people have to die until you catch him. Did you know one of the girls that Kevin killed got a scholarship to Harvard? I am sorry Jason I know you are trying, but you need to try harder. Kevin is not going to stop killing and he will never leave Emily alone,” Lisa replied. “My sister and brother-in-law have to go into hiding because they are afraid Kevin might kill them. I just think it unfair for Emily and her parents to have to go through this. I just wish you can catch Kevin and make sure he does not escape again,” Lisa replied. “I know we have let you and Emily down, but I promise we will catch him. We will protect Emily from Kevin,” Jason replied. Emily felt bad for Jason because he has a big responsibility to keep her safe. “I am sorry for being hard on you I am just angry,” Lisa replied. “I understand Lisa we all are angry, but we cannot lose faith,” Jason replied. Emily and Kate were leaving on their field trip today. Emily got plenty of money. Emily had so much fun on her field trip she forgot about Kevin. Emily and Kate got their award. The class went out to eat at the Red Lobster. They went to the mall and done some shopping. Emily and Kate have dinner with Lisa. Emily got some gifts for her parents, aunt, and her friends. Emily got some clothes for herself. Emily and Kate went to see Candy and they got to see The Beauty and the Beast. Emily really enjoys the play. Emily and Kate got in the car to go back to the hotel. Emily noticed that the driver was passing the hotel they were at. “Excuse me, Sir, you pass the hotel. Sir, you need to stop and take us to the hotel!” Emily replied angrily. “I am not taking you to the hotel I am taking you home,” Dennis replied. Emily and Kate realize that the driver was Kevin as Dennis. “What did you do to the bodyguard? !” Emily asks angrily. “I kill them,” Dennis replied. Emily notices a car close behind them and they got in front of them. The car was blocking Dennis’ way to go through. Kyle, Shawn, and Richard got out of the car and drag Dennis out of the car. Dennis starts turning into the beast. Emily was scared. The beast was about to attack Kyle, Shawn, and Richard. When the beast heard a familiar voice. “Kevin Wendell Crumb stop this right now,” the woman replied. Emily turn around to see Cassie. The beast turns back to Kevin. “Cassie, what are you doing here?” Kevin asks. “I am here to stop you from hurting our daughter. You need to leave Emily alone because if you don’t will have me to deal with and you know what I am capable of,” Cassie replied angrily. “Cassie, I love you. Why can we be a family?” Kevin asks. “Kevin, I do not like what you have been doing. I want you to leave us alone,” Cassie replied. Kevin turned back to the beast and got away. “Cassie, why did you not tell me you were my mom?” Emily asks. “I was in the mental hospital when you were born and I have to give you up for adoption. I was not able to take care of you even though it hurt to give you up I knew some good people would be taking care you. I broke up with Kevin and he could not accept our relationship was over. Kevin starts stalking me so after I got out of the mental hospital I went into hiding. I use my invisible abilities to see you,” Cassie replied. “What I call you now since you are my real mom?” Emily asks. “You can call me Cassie since you already have a mom name Lucy,” Cassie replied. Emily and Kate enjoy the rest of the trip. When Emily was watching TV in her hotel room her iPhone start ringing. “Hello, who is this? Emily asks. “It is me, Kevin. I just want to tell you that you will not be hearing from me in a while. I am going figure out a way to get rid of the people who trying stop us from being a family. Kyle Baldwin is the first on my list because I believe is trying to take your mother away from me,” Kevin replied. Kevin hang up before Emily got to say anything, but she did warn Kyle on Kevin threats. Kyle was ready to fight Kevin. 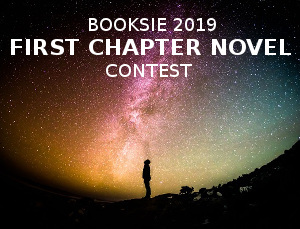 Hey Everyone, this is going to be the last chapter. I will write a sequel it might be next year or sooner. I do not know when I will write a sequel. I hope you enjoy this story. I did the best I could.